Dario Argento's psychedelic nightmare Suspiria is a highly-stylized experiment in terror, and it remains a cult horror masterpiece. From a brand-new 4K remaster of the original camera negatives and a restoration of the original 4-track magnetic stereo mix, Synapse Films unleashes the influential film to Blu-ray in a lovely three-disc limited collector's SteelBook edition. The overall package, which is the one under review here, is a must-own for devoted fans and cult collectors everywhere. 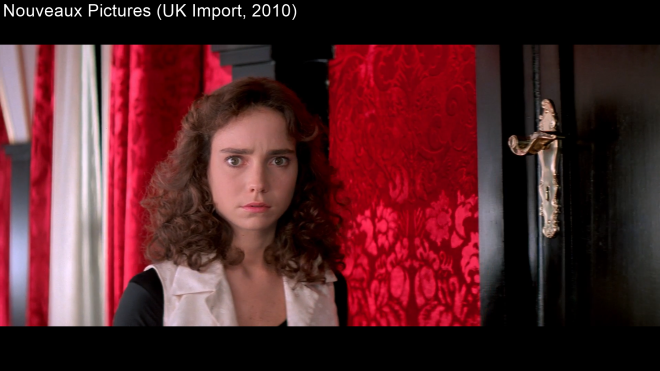 At the heart of the 1977 giallo classic Suspiria lies a bold venture to change the way in which horror films are watched and experienced. 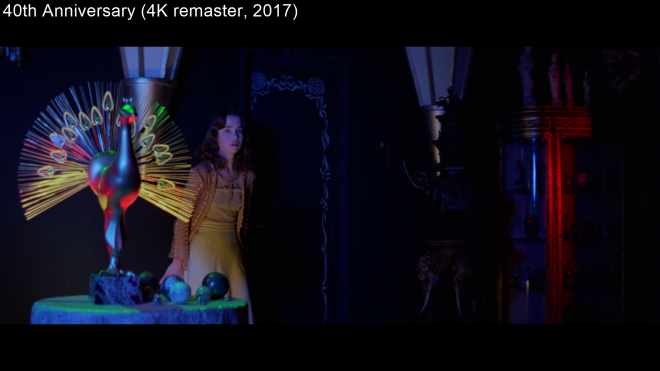 Experimenting with lighting, mise-en-scène and sound, legendary filmmaker Dario Argento plunges his audience into a psychedelic nightmare of hypnotic visuals working in conjunction with the stage design and cinematography. Awash in a seemingly arbitrary display of vivid primary colors that contradict the explicitly gory violence, the film is ultimately an attempt to induce fear through overt and transparent sources outside the story proper, such as the ear-piercingly disturbing music and incessant drumming of the score by 1970s experimental rock band Goblin. The constant juxtaposition successfully creates an apprehensive atmosphere that deliberately interrupts the narrative flow at odd moments as well as during expected scenes of shocking violence. Argento's bizarre creation is a nightmarish spectacle of incredible beauty and terror, a series of phantasmagoric stills pieced together to make a movie. The plot, itself, is sparse and plain as it follows a young American dancer named Suzy (Jennifer Harper) through the stressful demands of a prestigious ballet academy. The highly-stylized Italian film surrounds the aspiring dancer with a loud and flamboyant air of mystery and suspense while the disturbing stares of the school's cook and the Village of the Damned-like boy plunge the hallways into maddening tension. Headmistress Madame Blanc (Joan Bennett) seems friendly on the outside, but there's always a sense of something far darker and more sinister behind her smile. Meanwhile, the austere and foreboding instructor Miss Tanner (Alida Valli) proudly stomps through the halls with a harsh, stern glare as though she earned the right to do so. Even more interesting is Argento subverting conventions of the giallo by making men unavailable or physically impaired, serving little purpose or failing in stereotypical feats of gallantry. Bold, brash and terrifyingly entertaining, Suspiria is a macabre horror thriller that pushed the boundaries and has rightly earned its enormous, worldwide cult following. 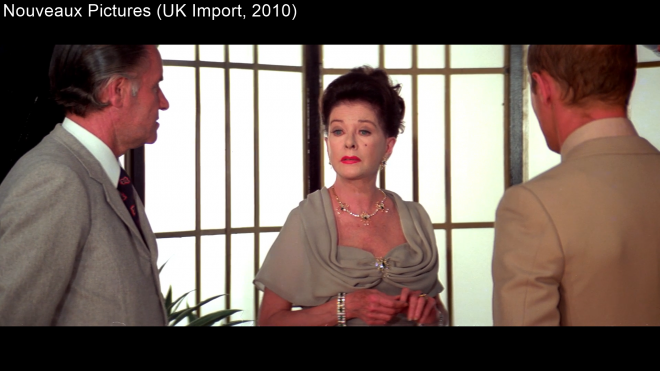 For a more in-depth take on the movie, you can read our review of the 2010 UK Import Blu-ray HERE. 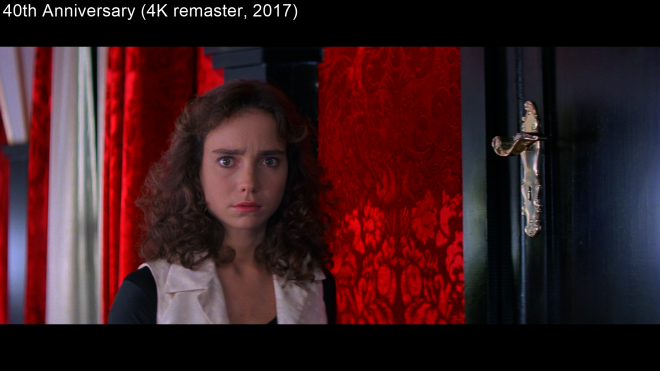 Synapse Films unleashes Dario Argento's Suspiria: 40th Anniversary to Blu-ray as a three-disc set inside a beautiful SteelBook with an optional slipcover. The BD50 disc sits comfortably atop a BD25 disc containing the special features while an exclusive audio CD disc of Goblin's original musical score rests on the opposing panel inside a SteelBook with lovely, colorful cover art. The package, which is under review here, also includes a glossy twenty-page booklet with a note by cinematographer Luciano Tovoli, an informative essay by Derek Botelho and an edited version of David E. Williams' thoughtful article titled "Terror in Technicolor." At startup, the disc goes straight to the main menu with music and full-motion clips. 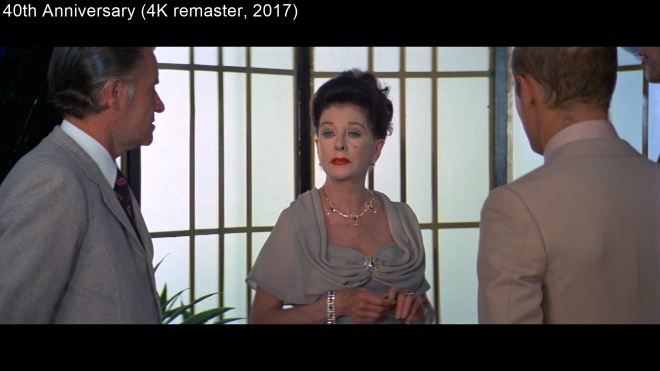 Coming from a 4K remaster and restoration of the original, uncensored 35mm camera negative supervised and approved by cinematographer Luciano Tovoli, this brand-new 1080p/AVC MPEG-4 encode will shock and astound devoted fans of the film. Simply put, this is the absolutely best the cult classic has ever looked, completely rectifying its problematic history on home video and blowing the previous Blu-ray by Cine Excess away. Immediately apparent, right from the opening scene at the airport, are the sumptuous array of primaries washing over the entire scene. As we continue with Pat arriving at a friend's apartment and the pair's eventual death, the screen is engulfed in vibrant blood reds, electrifying blues and vividly animated yellows. There are a few moments throughout, however, when the palette seems slightly duller than others, but this is likely related to the original photography rather than a concern with the encode. Secondary hues are bright and spirited, and skin tones appear natural and lifelike. Most appreciated, especially compared to previous releases, are the improved contrast and brightness levels. 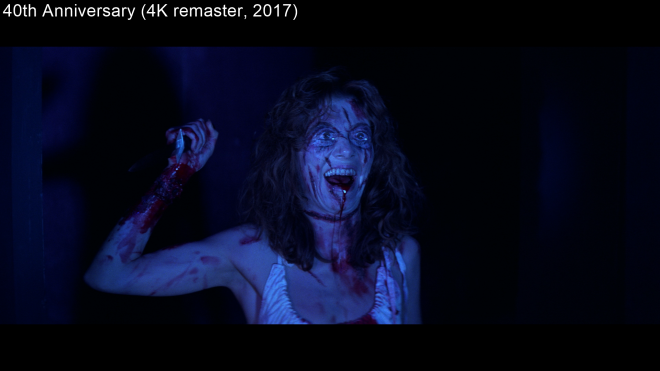 Fans are no longer made to suffer the blown-out whites and several instances of clipping and severe whitewashing in the highlights. Every scene is comfortably bright with clean, crisp whites, and blacks are rich and true with superb detailing within the darkest shadows. Presented in its original 2.35:1 aspect ratio, the presentation also arrives with remarkable definition and resolution, minus the few soft and blurry spots here and there, which again, are likely the result of the photography. Nevertheless, the source appears to in superb condition and has aged terrifically well, uncovering every nook and cranny of the dance school. Viewers can really appreciate the woodwork in the furniture and architecture, clearly make out the design and fine line of the wallpaper, and see every individual thread and stitch in the clothing. Facial complexions are highly revealing, laying bare each wrinkle, minor blemish and even exposing the faint freckles surrounding the nose of Jessica Harper. Overall, this is a positively brilliant and gorgeous HD presentation of a dearly beloved cult horror classic. 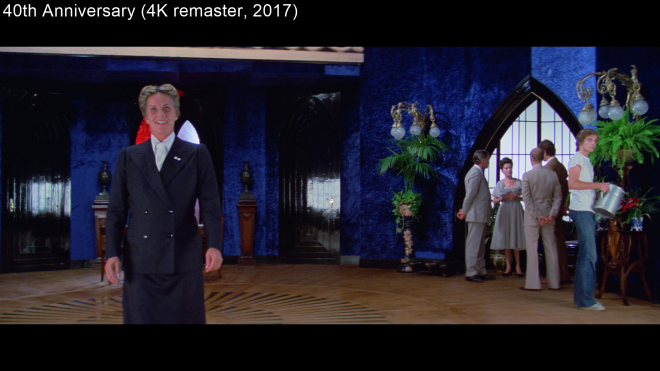 The film also haunts the Blu-ray hallways with a splendid English DTS-HD Master Audio 4.0 soundtrack, which was also made from a remaster of the original 4-track magnetic stereo track. This new 96kHz/24-bit presentation is true to the original sound design and is simply fantastic, giving fans the opportunity to enjoy this beautiful gem as it was originally meant to be heard, with discreet tracks to the left, center, right and surround channels. This allows for the hair-raising music of Goblin to spread across the screen and generate a soundstage that feels expansive and broad while delivering each note, instrument and high-pitched noise with stunning clarity and intonation. Vocals are never drowned out by the loudest segments or the chaotically nerve-wracking score, maintaining excellent priority with appreciable inflection and timbre. The low-end is not particularly noteworthy, but the mix nonetheless comes with a great mid-bass that provides the music and action strong weight and presence. Occasionally, the surround channel is also employed for a few ambient effects, nicely expanding the soundfield and enveloping the listener with an eerie atmosphere. 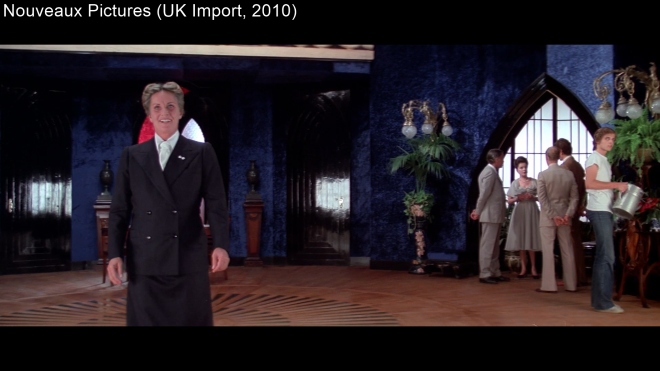 Frankly, this is a magnificent lossless mix and the definitive way to truly enjoy the film. All the same supplements are shared with the standard two-disc home video release expected in March, which can be read in more detail in our review HERE. 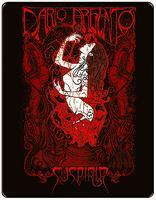 Dario Argento's Suspiria is a cult horror masterpiece from one of the best-known names in the genre. The highly-stylized Italian film is ultimately an experiment with sound, lighting and setting where the suspense and fear arise more from working these three elements together than through the story alone. The Blu-ray edition courtesy of Synapse Films arrives with a phenomenally gorgeous high-def presentation that will simply astound and amaze the most loyal fans, and the brand-new lossless mix is also the best one could possibly imagine or have hoped for. Featuring a nice collection of new supplements, an exclusive audio CD disc and booklet, the limited collector's SteelBook edition package is the definitive version of the cult giallo classic and highly-recommended for devoted followers.